After the 2010 earthquake killed more than 200,000 people and displaced more than a million, the government of Haiti identified mining for gold and other metals as necessary to strengthen the economy. To that end, the government and the World Bank worked to revise the country’s mining law to attract foreign investment. Their draft law, which was presented to Parliament last July and is awaiting consideration, did not include input from Haitian environmental and human rights organizations. The lack of transparency surrounding the proposed new mining law raises significant concerns about whose interests would be represented under the revamped legal framework. Canadian and American companies have already been granted permits to explore for gold, copper and other metals in the northern hills of Haiti. Although the full extent of Haiti’s mineral resources is unknown, some estimate that there is $20 billion worth of precious metals in the soil. If passed, the law would pave the way for country’s first commercial metal mine. The experiences of poor but resource-rich countries around the world provide a stark reminder that translating natural resources into public wealth is a very risky business — one that often fails. Even in developed countries, industrial-scale mining has contaminated water, increased security threats, forced thousands of people from their homes, and damaged ecosystems for generations. In poor countries like Haiti, the record is even worse. Given the unique vulnerabilities it faces, mining could deal the country’s environment and economy a blow from which it would never recover. Haiti is arguably the most environmentally damaged country in the Western Hemisphere. This damage is a consequence of environmental mismanagement, counterproductive foreign investment and anemic public institutions. The government has shown that it is unable to either prepare for or repair the destruction wrought by hurricanes, droughts and earthquakes. In fact, it has been unable to provide basic services to its citizens even in the absence of natural disasters: More than half of rural residents do not have access to safe drinking water. In this densely populated country where both housing and land for farming are scarce, a majority of Haitians live in crowded cities, or in rural areas far from schools, hospitals and other services. Opening a mine would displace hundreds, if not thousands of families from their homes in the areas where the mines are expected to be built. The government lacks the resources and the will to defend the interests of ordinary citizens. Officials from the Office of Mines and Energy told me that they visit communities where companies have explored for gold only when provided a ride in a company vehicle. Without regulation, international companies have shown that they have little incentive to think beyond their profits. This country has long been plagued by corruption. Last year, a Haitian Senate report accused former government officials of embezzling more than $2 billion from PetroCaribe, a Venezuelan oil fund. Transparency International ranks Haiti as the second most highly corrupt country in the Americas. The divide between the rich and the poor in Haiti is extreme, and the poor majority struggles to hold the government accountable. More than 90 percent of schools are privately run. El Salvador may provide a path forward. A year ago, the legislature there voted overwhelmingly to prohibit metal mining. The residents of areas rich in metals argued that their country was too densely populated and already too environmentally degraded to absorb the damage that would result from mining. 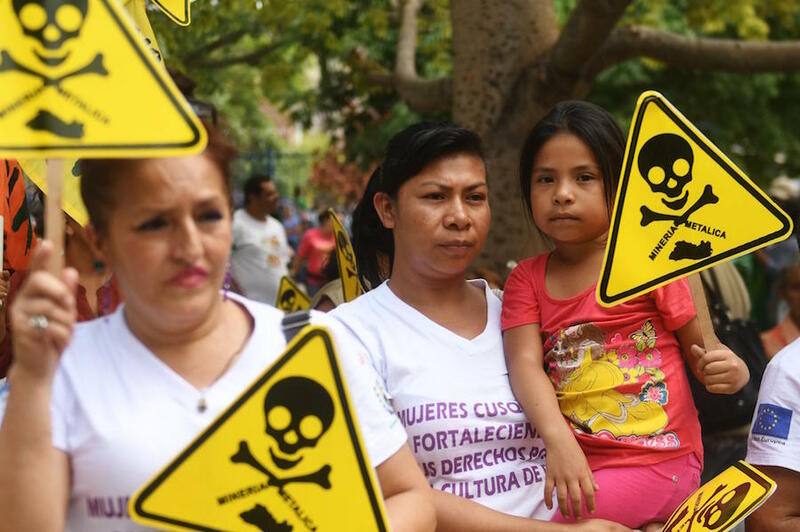 El Salvador is the first country in the world to impose a ban on metal mining. This precedent set by El Salvador should encourage other nations to hold inclusive debates about the costs and benefits of metal mining before allowing their nonrenewable resources to be dug up to the detriment of the many for the benefit of the few. In Haiti, a coalition of social movement organizations, the Kolektif Jistis Min (Justice in Mining Collective), is calling for just that: a national debate about the effects of mining before any mines are built. The collective, with which I have collaborated for more than five years, has taken a vocal position against metal mining, and is calling for the legislature to reject the draft mining law that it appears poised to pass. Metal mining in Haiti will bring profits to the few and more misery for the masses. Haitian legislators should heed the example of El Salvador and listen to the voices of their own people who are cautioning against mining and demanding less destructive and more inclusive development. *Ellie Happel is the Haiti Project director for the Global Justice Clinic of New York University School of Law. Representatives from Ocean Minerals Ltd (OML) inspected the Layar Mas 291 last Friday. OML are expected to purchase the boat and repurpose it for deep-sea exploration. 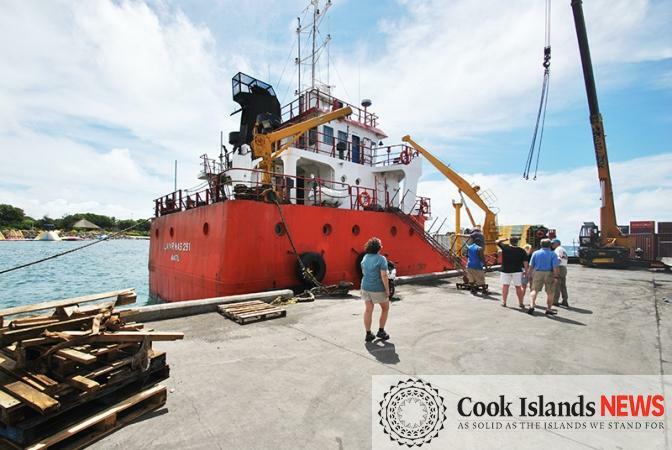 The Cook Islands is the only country in the world with a widely recognised, commercially viable ‘polymetallic nodule field’ – including valuable deposits of cobalt and titanium – within its exclusive economic zone. Last week, the country took a step towards becoming the first in the world to mine those nodules, with six representatives from the American-based Ocean Minerals Ltd (OML) company visiting the islands of Aitutaki and Rarotonga to explore the viability of harvesting nodules. Last year, OML gained exclusive rights to apply for licensing to undertake prospecting and exploration activities in an area of around 23,000sqm. This area lies within the South Penrhyn Basin, one of only four locations in the world with densities high enough for potential commercial extraction of nodules. The agreement with the Cook Islands government was reportedly worth $100,000 and is valid for 18 months. OML director David Huber says the company is now in the process of applying for a licence to prospect and explore the area. Cobalt metal fetches more than $130,000 a tonne and its value is expected to keep soaring. According to a report published by the Cook Islands Natural Heritage Trust, the South Penrhyn Basin could meet 24 per cent of global demand for cobalt and 26 per cent of the demand for titanium. It is assumed that a commercially viable mine would need to harvest at least 2.5 million tonnes a year for at least 20 years. At current value, that much cobalt would be worth $3.25 billion a year. Cobalt has many uses, including the production of batteries, alloys for aircraft engine parts, electroplating, and imparting blue and green colours in glass and ceramics. Radioactive cobalt is even used in the treatment of cancer. OML’s interest in the nodules is well-known – particularly with regard to cobalt’s “green” uses. It possesses many unusual properties, one of which is that it increases power efficiency when used in batteries. This is particularly important to renewable energy industry and electric car manufacturers, as it allows the use of smaller batteries. These batteries are identical to the ones being considered for the power storage project now underway in the Cook Islands. Agencies in New Zealand, such as the National Institute of Water and Atmospheric Research, have been working in collaboration with the Seabed Minerals Authority in the Cook Islands to ensure environmental issues are well understood. In 2013, the Seabed Minerals Act came into effect in the Cook Islands. It was the world’s first dedicated seabed minerals-related national legislation. The Cook Islands has also passed the 2017 Marae Moana Act, forming a nationally managed ocean space over the whole exclusive economic zone, which is almost two million square kilometres. The Act is based on conservation and zoned areas of resource utilisation, founded on a “whole of ocean” and precautionary approach. OML had a number of engagements whilst here, including meetings with Lynch and Business Trade Investment Board chief executive Teariki Vakalalabure. Director Huber said the purpose of the visit was to “seek the environmental, business, and government permissions to allow us to commence with the environmental data collecting and research phases of our project”. OML says they are taking a “precautionary approach” towards the exploitation of the Cook Islands seabed and are focussed on the environment. Sharing part of OML’s plan exclusively with CINews, engineer and chief operating officer for OML Hans Smit says their programme to collect environmental data, not only in nodule-rich areas but also across the broader Cook Islands region, spans at least three years. “Our objective is to use Cook Islands vessels and Cook Islanders to collect this data and we have been in discussion with local companies and the authorities to establish what is required to commence these operations” says Smit. “OML will gather data about sea life, birds, and many other things – statistics that Huber claims “have never been collected in the Cook Islands before”. Last Friday, the group inspected the Layar Mas 291, a vessel owned by local businessman Malcolm Sword. Huber said the boat was far from ideal, but added, “if there’s any way we can make this boat work, then we will”. Huber has been in discussions with Sword about advanced requirements for the boat and says he admires Sword’s zeal. Huber says that even if the boat is not used to extract the nodules, it is likely to be used by OML for other purposes, including “baseline studies” of the environment. OML have plans to soon establish a base in Rarotonga. Huber says that his company is dedicated to ensuring that the people of the Cook Islands see some benefit from their activities. He says legislation that ensures profits from OML’s activities remain within the country is currently before the Cook Islands parliament. According to Huber, it is likely some money will go into a fund dedicated to upgrading infrastructure and other resources within the Cook Islands. However, he also confirmed that once extracted, the nodules will be taken to offshore smelting plants, probably in Australia or Indonesia. OML will be advertising a vacancy within the next six months for an environmental and outreach coordinator to take charge of interaction and consultation with the people of the Cook Islands. Huber says the company will be focused solely on the Cook Islands. “A lot will be happening within the next six months”. However, he estimates mining operations are at least eight years away from beginning. Last Friday, the group inspected the Layar Mas 291, a vessel owned by local businessman Malcolm Sword. Huber said the boat was far from ideal, but added, “if there’s any way we can make this boat work, then we will”. OVER the last two weeks, the International Seabed Authority (ISA) has been in discussions in Jamaica. Its mission – to work towards the finalisation of exploitation regulations, a so-called mining code that will allow commercial deep sea mining operations to begin all around the world. The coming two years are critical in the opening – or not – of this unnecessary new frontier of resource exploitation. The deep sea covers around fifty per cent of the Earth’s oceans and a great share of that is in international waters. Hidden under thousands of metres of water, the vast majority of it hasn’t been explored, meaning deep seabed mining could wipe out species and ecosystems before we even know them. The ISA regulates the sea floor outside nations’ jurisdiction. It has to decide what the rules are: how much money will go to developing countries and their communities, what kind of environmental controls there will be. And, right now, decisions that could impact the earth’s seabed forever are being made in Jamaica; ushered through under pressure from industry and mining advocates with a decided lack of transparency. Advocates of ocean exploitation, like US giant military company Lockheed Martin, argue that we need deep sea mining in order to meet ‘the growing global demand for precious metals’ and to support ‘economic growth’. They also claim that deep sea mining is necessary to satisfy our endless thirst for technological and electronic innovation, conveniently ignoring many aspects of the problem. “Are we going to continue to develop huge mines that destroy villages, alter rivers, pollute water courses, take thousands of years to restore, remove whole mountains? 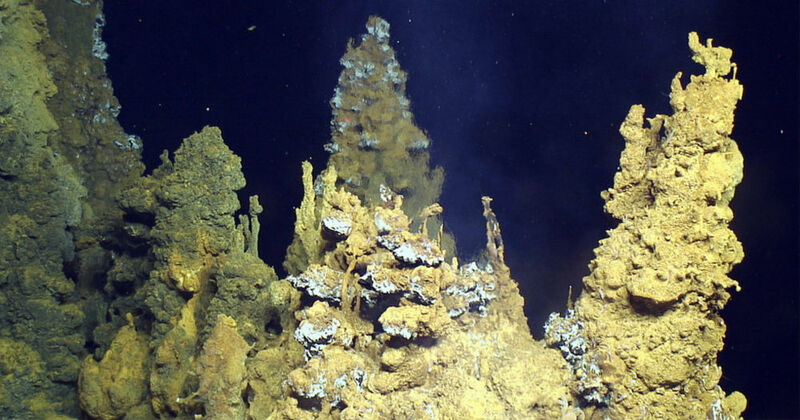 You don’t have any of that with deep seabed mining,” said ISA Secretary General, Michael Lodge, recently. While it’s true that mining for essential and finite raw materials often endangers workers and leaves the Earth irreversibly scarred, the solution is not – and cannot be – to translate these mining impacts to other ecosystems that provide crucial services to humanity and our climate. Doing so would not only result in potentially irreversible biodiversity losses, but would also send a completely wrong signal: that we do not need to improve efficiency and reduce resource use because there is plenty down there. Why is it that the IT sector, and its current leaders such as Samsung and Apple, can show the ingenuity to develop technologies that allow us to do things we could only have dreamed of a decade ago, but do not put such ingenuity to the service of a truly sustainable economy within the boundaries of the planet? Instead, in the race to gain market share, IT companies increasingly change the design of their products in a way that accelerates the replacement cycle, making them difficult to service, upgrade or repair and shortening their useful life. 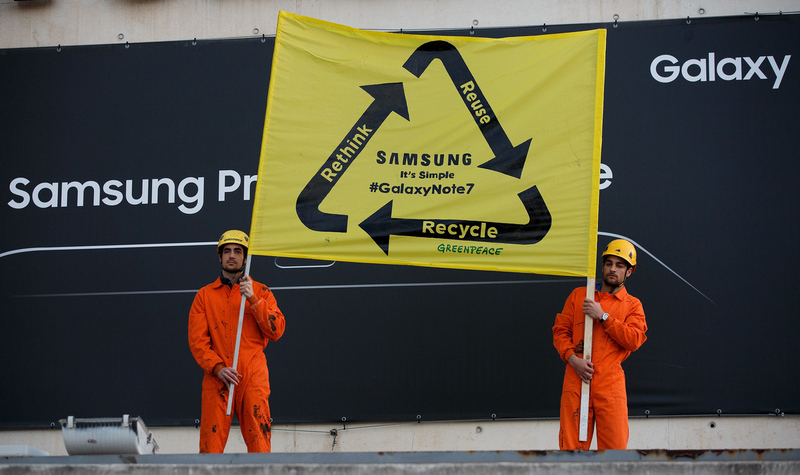 Greenpeace protests outside the Palau de Congresos de Cataluña (Catalunya Palace of Congress) during the presentation of Samsung ahead of the Mobile World Congress to ask Samsung for a compromise to recycle the 4,2 million of Samsung Galaxy Note 7 devices that were defective. Mining advocates also argue that we need the minerals to meet increased demand from the growth of renewable energy technologies and the electrification of transport. Different types of seabed mining involve different extraction methods and technologies, but whatever the approach severe impacts can be expected. 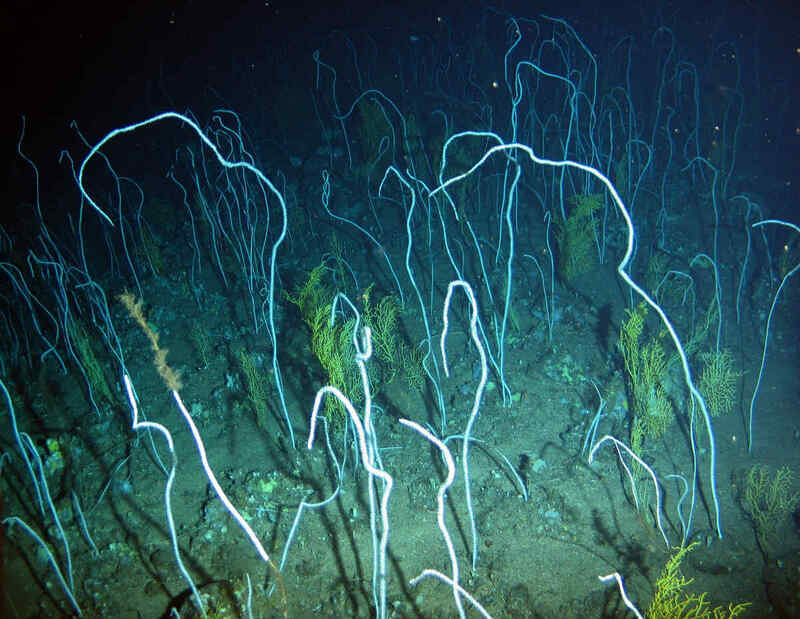 Sediment plumes, the potential release of toxic chemicals, habitat destruction, increased temperature and noise all threaten the deep sea’s precious and as yet untouched environment. 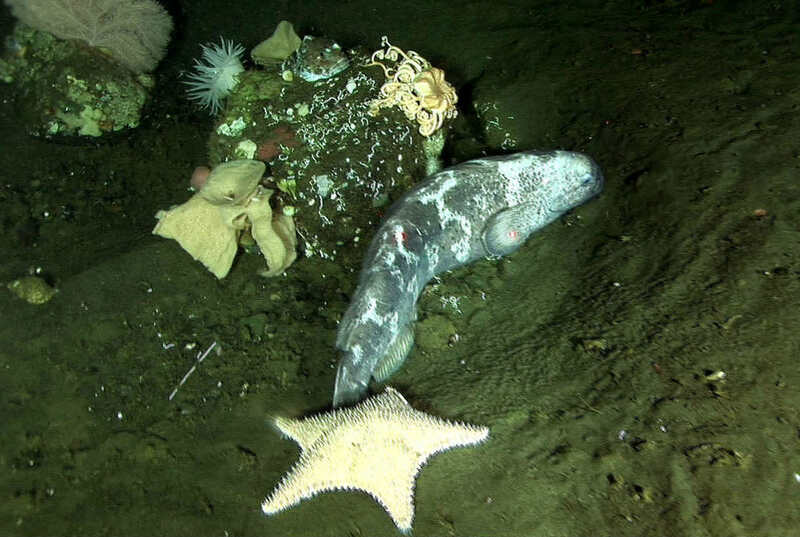 Researchers recently concluded that most mining-induced loss of biodiversity in the deep sea is likely to last forever on human timescales, given the very slow natural rates of recovery in affected ecosystems. Yet the ISA has recently rejected the establishment of an environmental committee to better include environmental considerations in its functioning, and key environmental information is not public. It’s Legal and Technical Commission meets mostly behind closed doors, and its composition is such that biological and ecological considerations are underrepresented. Despite all the arguments against this unnecessary pillaging of planet’s seabed, so far the ISA has approved 28 exploration contracts in the Pacific, Indian, and Atlantic oceans – covering more than 1.4 million square kilometers, roughly four times the size of Germany – to companies like Lockheed Martin. And in the meantime, the first commercial test case for the deep seabed mining industry is already planned to take place in the waters of Papua New Guinea. Canadian company Nautilus Minerals plans to extract mineral-rich sulfides, containing copper, zinc and gold, at depths between 1,500 and 2,000m. The mining operation, known as the Solwara project, is scheduled to begin early in 2019. A strong alliance of NGOs made of over 20 communities in the Bismarck and Solomon Seas is fighting to stop the project. Arguing a lack of consultation, and drawing attention to the grave impacts that could be derived from the project, the local opposition is growing stronger while the company is facing potential financial troubles. The European Union Parliament has recently agreed on a resolution on international oceans governance, which calls for a moratorium on seabed mining. In an effort to push back against the plunder, almost 800,000 thousand people have called on the ISA and its member parties to agree to the moratorium. While opposition is mounting, alternative economic models are gaining momentum and people are increasingly aware of what’s at stake, for the sake of the oceans, the planet and the people, it’s urgent we stand to prevent commercial deep sea mining, before it’s too late. Nautilus Minerals announces that its production support vessel was today launched at the Mawei shipyard in China. The vessel will be used by Nautilus and its partner, Eda Kopa (Solwara) Limited at the Solwara 1 Project site, in the Bismarck Sea of Papua New Guinea. The Production Support Vessel (PSV), which the Company will lease from the owner thereof, provides a stable platform for operations using world-class dynamic positioning technologies to ensure it stays on location at Solwara 1 irrespective of wind and wave conditions. The PSV has been designed for use in offshore construction and seafloor mining industries. The PSV, as launched today, is approximately 75% complete with the final vessel delivery currently scheduled for March 31, 2019. There are reports from central Bougainville of a confrontation earlier this week between landowners and a Philippines mining company. SR Metals is undertaking exploratory work in the Papua New Guinea autonomous region for the Isina mining development, a short distance south of the shutdown Panguna mine. One of the masterminds behind Isina is Sam Kauona, who was once a military leader in the Bougainville Revolutionary Army. 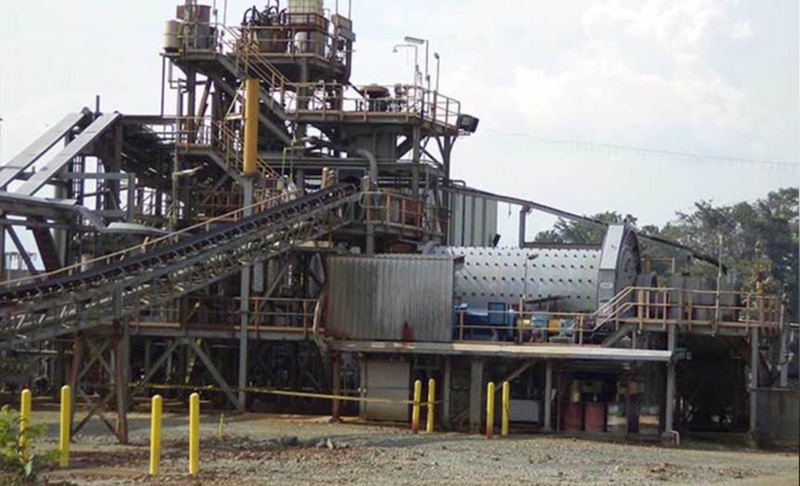 But a chief at nearby Koianu, which is also in the sights of the company, Cletus Miarama, said SR Metals does not have free and informed consent to proceed. Cletus Miarama said SR’s presence was sparking divisions in communities with promises of wealth for some but not others. He said it was destructive, coming as the region is preparing for the vote on possible independence from PNG in June of next year. Landowners from the K92 Mining Limited in Kainantu, Eastern Highlands province have raised concerns over 18 years of being left out of spin-off benefits from the Kainantu mine operation. The groups from Kainantu in Eastern Highlands and Markham in Morobe are calling on the operator to back pay them over no spin-off. 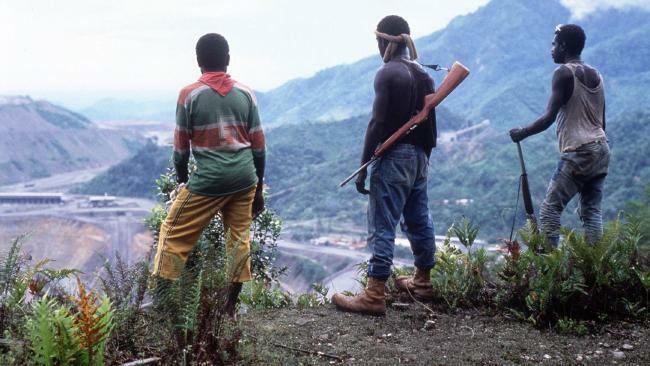 Pomasi and Unantu groups from Kainantu and the Watarais and Marawasa groups in Markham said since the establishment of the mine, they have not been part of any spin-off activities. Chairman of associate infrastructure group Aigdevco Limited, Sonny Maraba, said the groups have missed out on royalties, enclave allowances and employment from the mining operations. “The four mentioned groups and five others have been left out from the development stages to the construction and actual progress of the mine and not in any way received royalty payments, and compensation payment for the damage done to the environment and even have not been given spin-offs,” Mr Maraba said. He said the mine commenced operation in 2000 and since then the groups have not received anything. “The Markham landowner groups have been ignored for 18 years now,” he said. He added that the groups want the mining operators to calculate 18 years of no spin-off benefit and pay the agreed 30 percent benefit. “We have been spectators to the benefits for so long and as the new chairman I want to make it happen for my people,” he said. THE oil and gas industry in PNG do not use fracking technology. This is the assurance from Minister for Petroleum Dr Fabian Pok amidst rumours that the recent 6.5 magnitude earthquake was caused by petroleum activities in Hela and Southern Highlands. “People need to focus on the relief efforts to support those affected by the recent earthquakes and others affected by it,” he said. Mr Pok said the Prime Minister has announced an independent investigation into the earthquake and it is now time to put aside speculation following aftershocks and to concentrate on efforts on helping people recover and rebuild their lives. “I welcome the investigations and while we consult with experts, I want to make it clear that there is no fracking for oil and gas being done. Oil and gas in PNG is being extracted using conventional wells that are tapping into underground reservoirs which hold free flowing gas. Fracking technology is used in other parts of the world because their gas is tightly trapped between rocks,” he said. Mr Pok said licences that the oil and gas industry operate under do not permit fracking. And the Department of Petroleum as the regulator of the industry monitors all oil and gas operations. He reiterated that there was no fracking used to extract oil and gas anywhere in the country. He said there are a number of reputable geology and geophysics experts in PNG including the Department of Mining and GeoHazards who can assist with more information and let us allow them to investigate further while we turn our energy to assist people in need. The comments by the Minister comes following ongoing speculation and misleading statements especially in the social media on the cause of the earthquake.